April 24, 2017 | 3:30 p.m. The black-legged tick is found across Wisconsin, with many nymphs and adults carrying bacteria that cause Lyme disease. The Midwest is home to over a dozen tick species. While only a few types are encountered regularly by people and pets, the medical concerns posed by some species can be quite significant. The two best-known species of ticks in Wisconsin and nearby states are the wood tick and the deer tick. The wood tick (Dermacentor variabilis), also known as the American dog tick, is one of the most commonly encountered. Adults of this species are fairly noticeable at a size of around a quarter inch long. Wood ticks can be associated with certain human diseases, such as Rocky Mountain spotted fever, although the threat of this disease in the Midwest is low. However, pets that have wood ticks attached for extended periods of time may suffer from tick paralysis, a serious reaction to components of the parasite's saliva. 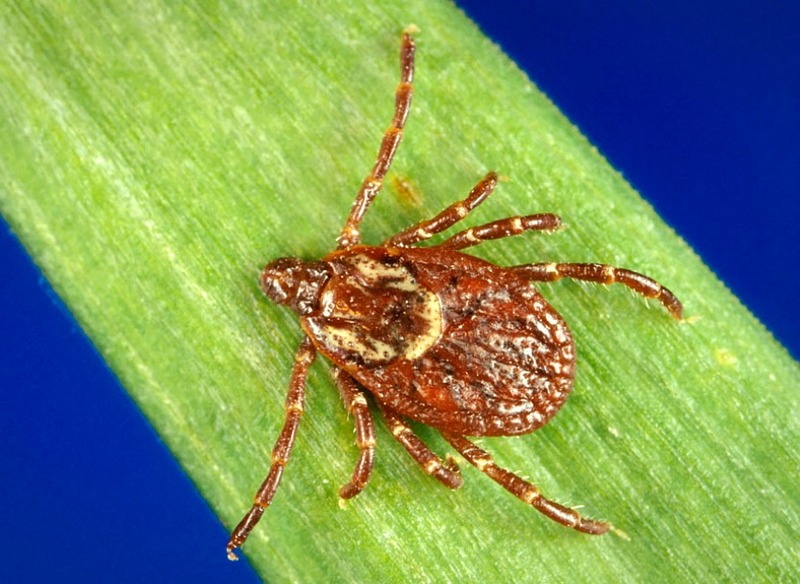 The tick of greatest concern in the Midwest is the deer tick (Ixodes scapularis). This is the species notoriously associated with Lyme disease, although it can also carry anaplasmosis, babesiosis and other diseases. These ticks, also known as black-legged ticks, are noticeably smaller than wood ticks, making them more difficult to spot; adult deer ticks come in at a mere eighth of an inch long. Interestingly, deer ticks are relatively new to the upper Midwest and were not spotted in Wisconsin until the late 1960s. Fast forward 50 years, and these ticks can be found in nearly every corner of the state. The rate of infectivity, or percentage of ticks carrying a disease, is worryingly high. Approximately 20 percent of juvenile deer ticks and 40 percent of adult deer ticks in Wisconsin are carrying the microorganisms responsible for Lyme disease — multiple bacteria species in the Borrelia genus. In some parts of state, the rate of infectivity has been documented at closer to 60 percent. This high rate of infectivity, combined with the recent ubiquity of deer ticks, poses significant health risks to residents of the upper Midwest. 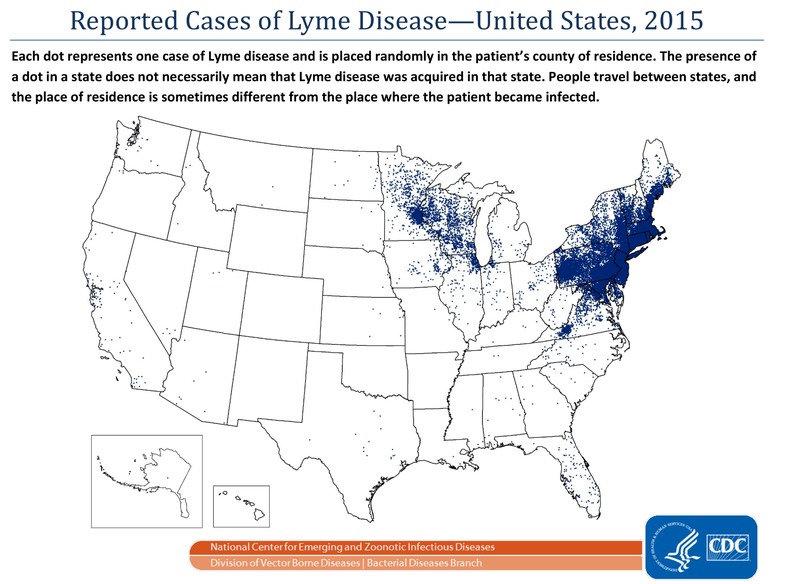 Nearly 30,000 confirmed Lyme disease cases are reported from across the country to the Centers for Disease Control and Prevention each year. Even more alarming, estimates from the CDC suggest that the actual number of Lyme disease cases may be an order of magnitude higher. What is the tick forecast in Wisconsin in 2017? Some scientists have predicted high tick and Lyme disease pressure in the eastern U.S., but despite extensive news coverage, this may not be the case in Wisconsin. The prediction is rooted in the hypothesis that high rodent populations, a host for juvenile deer ticks, may bolster deer tick numbers. 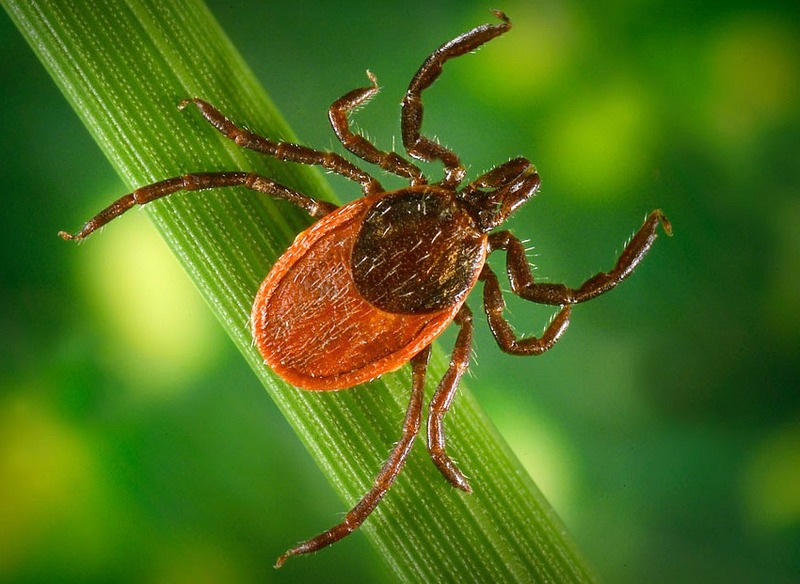 While this pattern was documented in certain geographic locations in a 2005 study, the relationship did not hold up across the board as a general predictor of tick activity, and neither did weather patterns. However, it is difficult to get a reliable predictor of tick activity and Lyme disease pressure in a given year. Moreover, based on recent field observations by entomologists in Wisconsin, rodent populations do not seem to be bursting at the seams at the moment in the state — 2016 seemed to be an average tick year in the state and this year may be more of the same. Regardless of numbers, the threat of ticks and Lyme disease is still out there and should not be ignored. Deer ticks can be encountered whenever temperatures are above freezing and the ground is not covered with snow. While many consider them a creature of the deep woods, ticks can also be found in suburban areas near parks and nature preserves. Vigilance is a must, even in your own backyard. Wisconsin May Dodge Lyme Disease Spike Projected For Northeast U.S.